Oh, how many cookies did I eat today? A lot! And I was promising myself to stay in shape this year…. But these Rogaliki were sooo delicious! 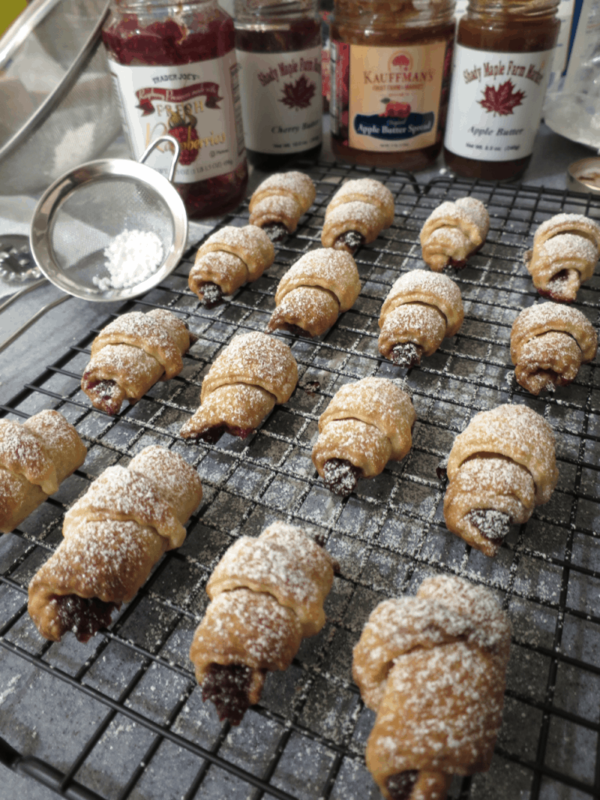 So soft and flaky…with apple and cherry jam…. Sounds good, right? I know! So I couldn’t help myself but to sneak a cookie or two every time I went to the kitchen today. Though after eating a healthy dinner of fish and salad I feel a little bit less guilty. It all comes out even, right? So I was baking Rogaliki for two days in a row trying to come up with the best recipe. I read so many different ones but came up with my own recipe. Some recipes advised refrigerating the dough for an hour before baking, while others said to refrigerate overnight. Of course, I had to try both ways to see which one was the winner. So I used my own recipe, but baked one half an hour after refrigerating it, the other half I left for the following day. I have to tell you that the first batch won! It baked more evenly when the dough was refrigerated for 1 hour. If you leave it overnight, the cookies come out a little bit overcooked outside and undercooked inside. Also, don’t put too much jam inside, it will leak out and burn. Out of all jams and fruit preserves that I tried, the best one was Kauffman’s Apple Butter Spread. That was the only one that didn’t leak out. And it tastes amazing! We always buy it when we go to Farmers market. If you look at the label, you will see that it has only natural ingredients. 1. In a mixing bowl sift 2 cups of flour and mix it with active dry yeast. Cut 2 sticks of cold butter in small pieces and add it to the flour. 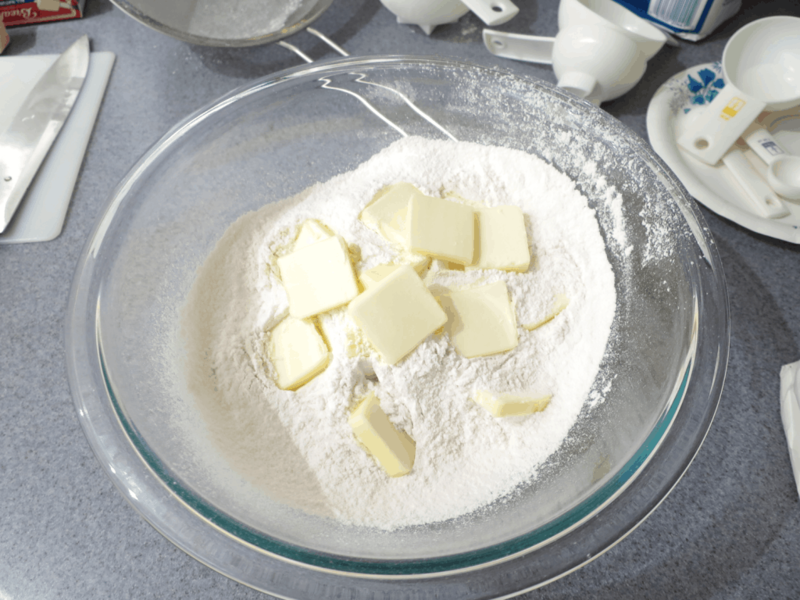 You can use a fork or your hands to mix butter with the flour and yeast until it is crumbly. 2. 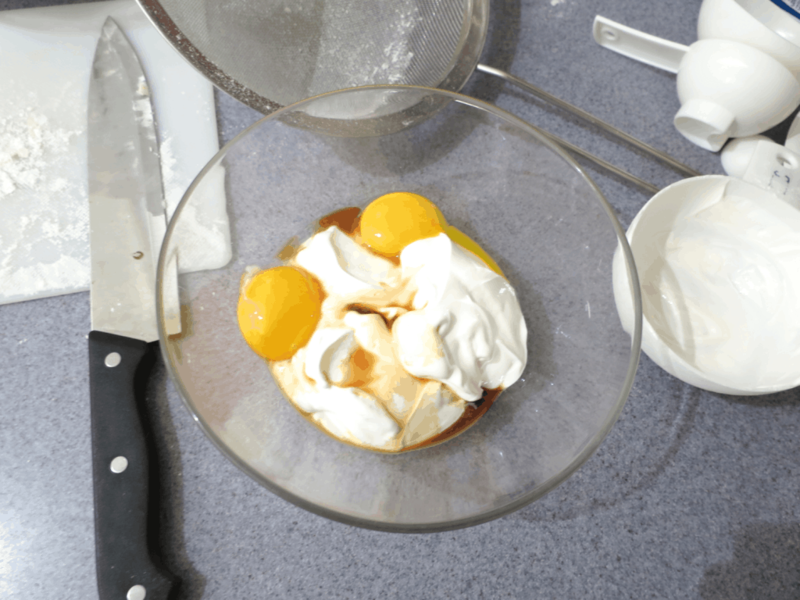 In a separate bowl mix 1 cup of sour cream, sugar, 2 egg yolks and vanilla. Add it to the dry ingredients, and mix it again. 3. Add the rest of the flour and knead the dough until it is smooth and doesn’t stick to your hands. 4. 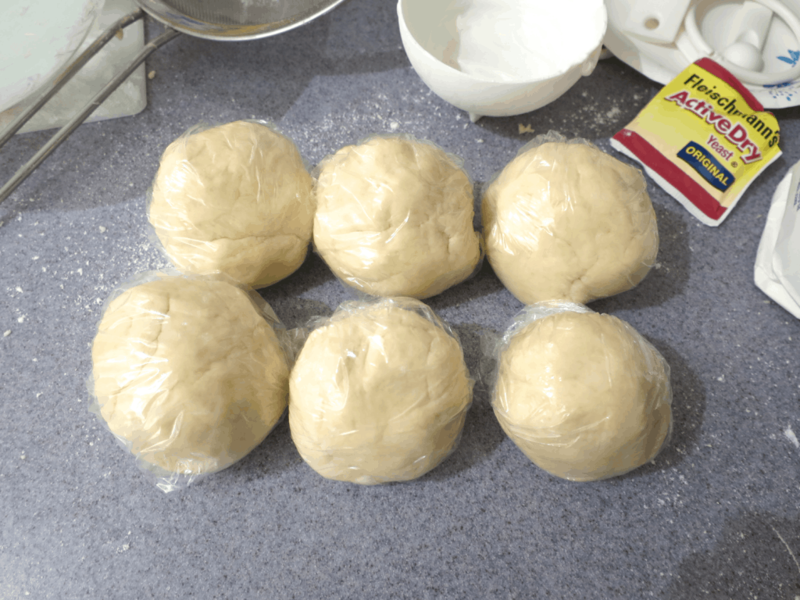 Divide the dough into 6 even pieces and wrap in plastic wrap. Refrigerate it for an hour. 5. When the dough is ready, take one ball and roll it to about 2-3 mm thick. Using a pizza cutter cut it in 12 equal pieces. 6. 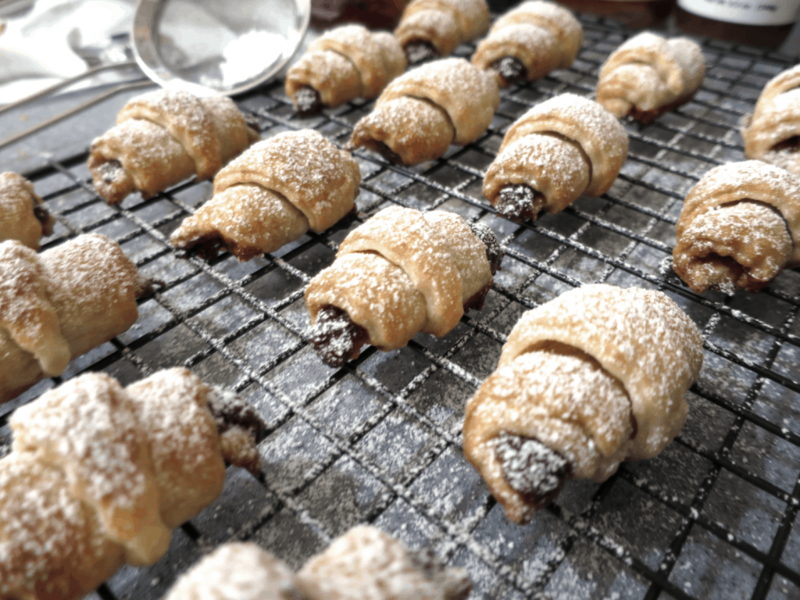 Put a little bit of jam on the outside edges of each piece and roll it in. 7. Preheat the oven to 350°F and bake Rogaliki for 15-20 min, until they have a beautiful gold color. 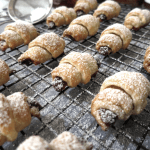 Russian Rogaliki filled with jam, also known as Rugelach are soft and flaky cookies. In a mixing bowl sift 2 cups of flour and mix it with active dry yeast. Cut 2 sticks of cold butter in small pieces and add it to the flour. 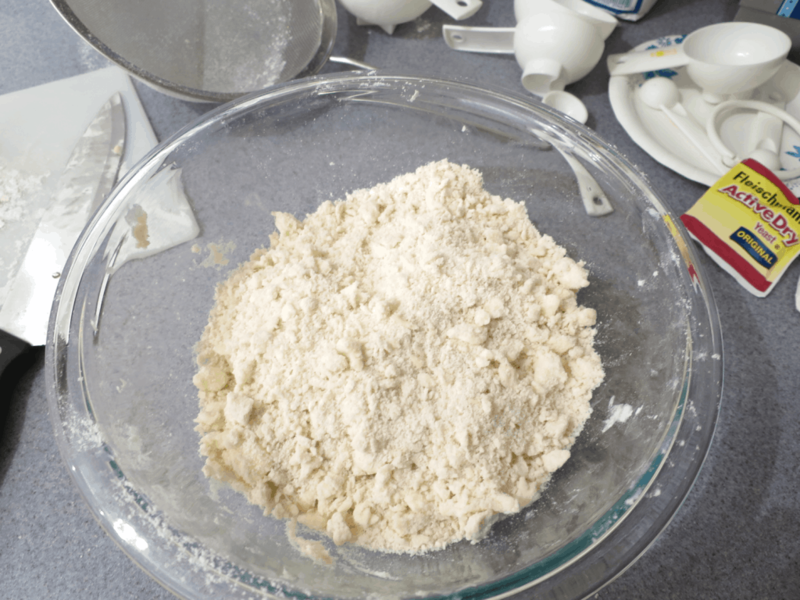 You can use a fork or your hands to mix butter with the flour and yeast until it is crumbly. Divide the dough into 6 even pieces and wrap in plastic wrap. Refrigerate it for an hour. 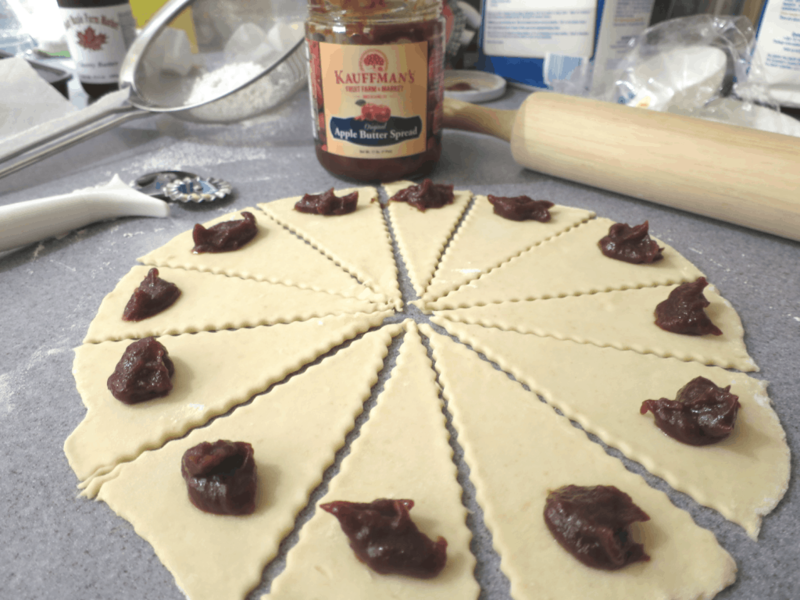 Put a little bit of jam on the outside edges of each piece and roll it in. 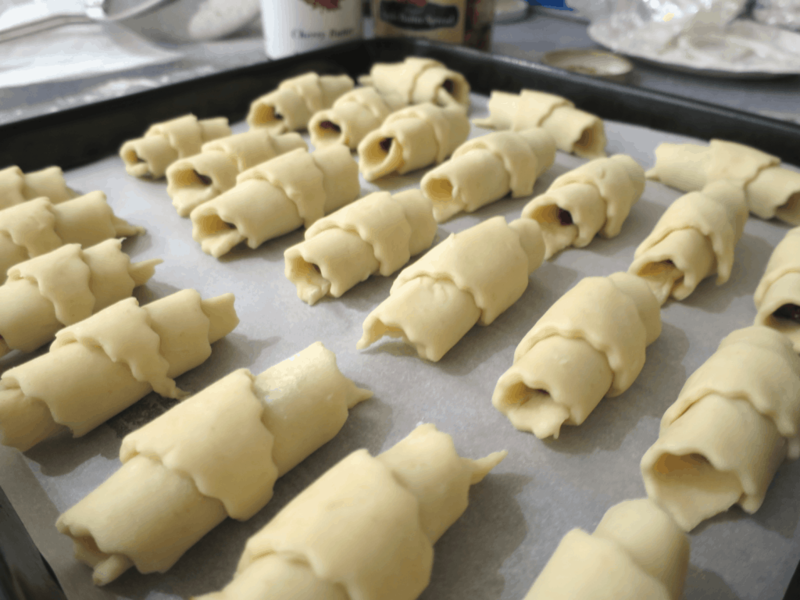 Preheat the oven to 350°F and bake Rogaliki for 15-20 min, until they have a beautiful gold color.